There are several Danish musicians by the name Kim Larsen: 1) Kim Larsen (born October 23, 1945 in Copenhagen. Now living in Odense) is a Danish best selling rock musician, known for his solo career as well as being the lead singer of Gasolin'. 2) Kim Larsen is one of Denmark's leading underground figures, best known for his work with doom metal band Saturnus and his solo folk-noir project Of the Wand and the Moon. He has also issued records under the Solanaceae and The Loveless banners, and is a member of and lyricist in the band Black Wreath. 1) Kim Larsen (born October 23, 1945 in Copenhagen. Now living in Odense) is a Danish best selling rock musician, known for his solo career as well as being the lead singer of Gasolin'. 2) Kim Larsen is one of Denmark's leading underground figures, best known for his work with doom metal band Saturnus and his solo folk-noir project Of the Wand and the Moon. He has also issued records under the Solanaceae and The Loveless banners, and is a member of and lyricist in the band Black Wreath. The rest of this article is about 1. Inspired by The Beatles and rock'n'roll, Kim Larsen began writing songs and playing guitar. In 1969 he met Franz Beckerlee and Willi J?nsson. The three of them founded Gasolin' and were later joined by drummer s&oslash;ren berlev. 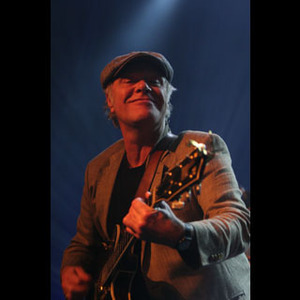 After Gasolin' released their second album, Kim Larsen left the band due to creative differences, but he was quickly convinced to rejoin the band again. In 1973, prior to Gasolin' releasing their third album, Larsen recorded his first solo album, V&aelig;rsgo. Another followed in 1978, when Gasolin' disbanded. That same year he released a live album, Vogt dem for efterligninger, under the name Starfuckers (together with Stig M&oslash;ller). Larsen released several records under his own name in the early and mid 80s, most notably Midt Om Natten. In 1986 he founded a new band Kim Larsen & Bellami. The band released four albums up until 1992, when they disbanded again. Larsen then recorded another solo album, Hvem kan sige nej til en engel, before he moved to Odense in 1995 and found more success with his new band Kim Larsen & Kjukken. The band continues to record and perform live to this day and they released their latest studio album, Gammel Hankat, in 2006. For almost four decades, Kim Larsen has had a number of successful album releases as a solo artist and is one of the most influential and popular artists in Danish popular music history. He remains a top concert draw in Scandinavia and his 1983 album Midt Om Natten is the most sold album in Denmark with more than 532,000 copies shipped (as of 2010). As a solo artist Kim Larsen has sold approximately 3 million records, an exceptional feat for an artist recording in Danish.